What is a university education and what can you expect from it? Is college just a way to prepare for a profession? Can it be something more? Philosophy & Ethics offers entering high school seniors and college freshmen a unique opportunity to experience a college-level class in the humanities. For five days, the students read and discuss a classical philosophical text. The classes are held in seminar-style and are led by an experienced college professor. The seminar centers on a classic philosophical text which is accessible to the student but also demands serious effort. The readings are meant to raise deeper life questions, the kinds of questions that any student—whether a humanities major or not—should reflect on during his college years. The text for the seminar is Aristotle’s Nicomachean Ethics. The topic of this book is the fulfilled human life and includes discussions of happiness, virtue, and friendship. For over two thousand years, and even to our times, it has remained the starting point for all discussions of ethics. The seminar will be taught by Dr. David M. Gallagher, former professor of Ethics at The Catholic University of America (Washington, D.C.) and a Consulting Scholar at the James Madison Program of Princeton University. Philosophy & Ethics is will take place June 30 – July 6, 2019 at Warwick House (5090 Warwick Terrace, Pittsburgh, PA 15213). Students should plan on finding transportation to Pittsburgh. Rides to Warwick from Pittsburgh International Airport will be available. 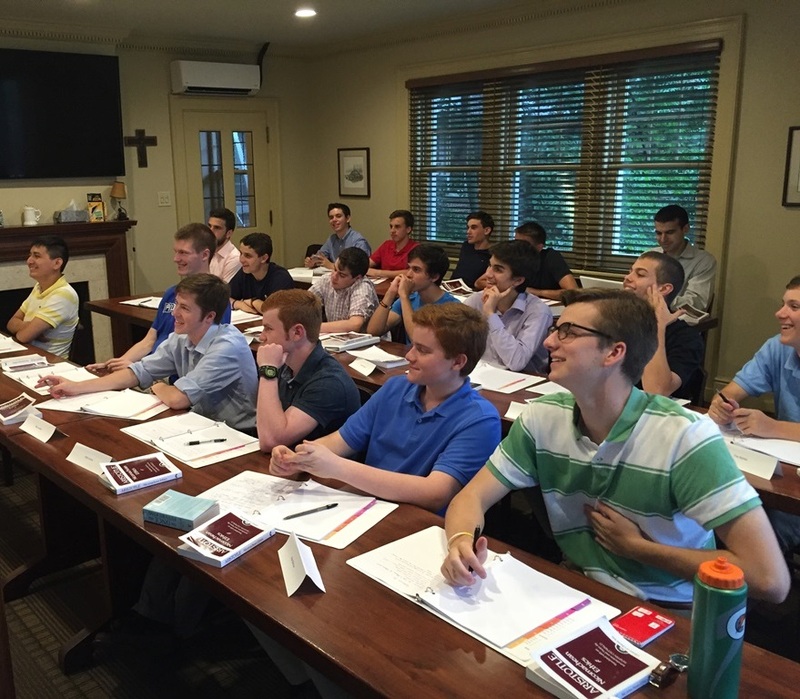 Philosophy & Ethics is open to boys who will be entering high school seniors or college freshmen in the Fall of 2019. Applications received before April 15, 2019 will be given priority. Acceptances will be announced by May 8, 2019. A $25 non-refundable deposit is due at the time of application and will be counted towards full payment. The fee for the seminar is $645. Full payment is due by May 20, 2019. All payments can be made to Youth Service International, the sponsor of the seminar. Click here for payment information. In addition to the morning classes on the Nicomachean Ethics, Professor Gallagher will also lead a one-hour seminar each afternoon focusing on the subject of relativism. After an initial lecture, the remainder of the class time will be devoted to discussion and debate as a way to help the students learn how to recognize and critique relativistic claims which are commonly made in the media, in public policy, and in the university. As a result, students will be much better intellectually prepared to begin their college career. Some time each day will be dedicated to reviewing the assigned readings in preparation for class. Philosophy & Ethics is sponsored by Youth Service International (ysi.org). YSI organizes and directs activities for college and high school students from around the country. Through its programs, YSI provides a forum whereby each student is challenged to grow in virtues such as generosity, nobility, hard work, friendship, and solidarity.